Car owners in Sydney often find themselves asking what to do with a vehicle that is too old to be driven or has been rendered useless after an accident. Responsible citizens that care about the environment often think about taking the car to a junkyard so it can be recycled. This process helps them make $400, $500 or if lucky maybe a $1000 off of it at the junkyard. Taking a car to a junkyard requires that you flatten the tyres, empty the vehicle’s fuel tank and tow it to the junkyard. At the junkyard, vehicles are initially wrecked and thrown into a landfill. Sometimes they might extract working parts from it before wrecking the vehicle. Not that it’s a bad choice for scrapping a vehicle, but it sounds like a lot of work just to scrap a car, right? Additionally, you’re not even making a decent amount of money off of it. Many people are also unaware of the fact that vehicles that are left in landfills release toxic fluids and chemicals that can be harmful for the environment even after the vehicle is wrecked. You must be thinking by now if there is a better way to scrap a car. Well, there is! Scrapping a car with a Car Removal company is the right way to do it. All you have to do is contact a reputable and registered car removal company like Metro Car Removal Sydney and you can make sure your car will be scrapped the right way! Newer technology and high quality services have allowed Car Removal Companies to maximize the efficiency of recycling scrap vehicles. Most of the iron is recycled as well as the working parts of the vehicles. All fuel and engine fluids are drained from the vehicle and reusable items at recycled as well. Plastics and rubbers are disposed off in a proper manner at the government environmental agency’s appointed places. Not only is it good for the environment but it also saves you a lot of work. The company will pick the car from your desired location, at a time convenient to you. Furthermore, good companies offer you up to $7000 for the vehicle you’re looking to scrap, depending on the condition. Just make sure you contact a company that offers their services in your location, and has a good name in the industry. Also make sure they are a licensed company with proper eco-friendly recycling procedures as set by the government’s environmental agencies. 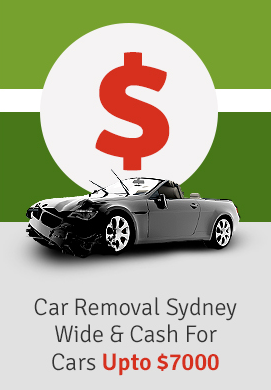 Metro Car Removal Sydney offers you all of these things Sydney wide. No matter where you are in Sydney, you can log on to our website or call us to get your car recycled in the best possible and convenient way.